Please refer to our stock # 39B78-3535 when inquiring. Arts and Crafts oak foot stool by Gustav Stickley. Circa 1918. Size: 20 inches length x 14 inches x 16 inches ht. Conjoined decal. Original finish, replaced leather. Good condition. 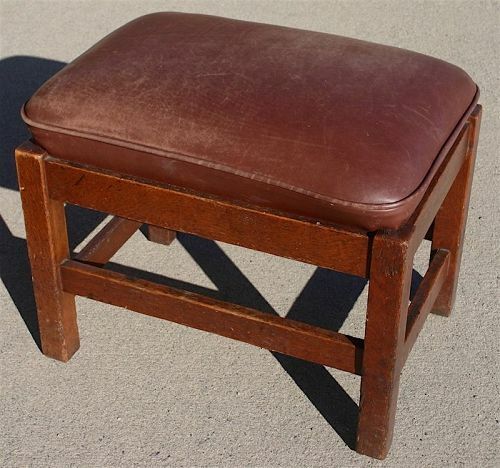 An attractive stool by the pre-eminent American manufacturer of Arts and Crafts furniture, and retaining the original colored Stickley decal.